After a busy workday, cooking can be put on the back burner of our to-do list. We gravitate toward meals that are most easy and convenient, often eating the same foods over again. That’s why we have made it our mission to revitalize the way we perceive cooking by searching for cookbooks that are equally as unique as they are healthy. Say goodbye to monotonous cooking with the help of these four books, handpicked by The Amazing Blog. Plant-based cooking has gained its popularity, but have you ever thought of incorporating flowers into your recipes? 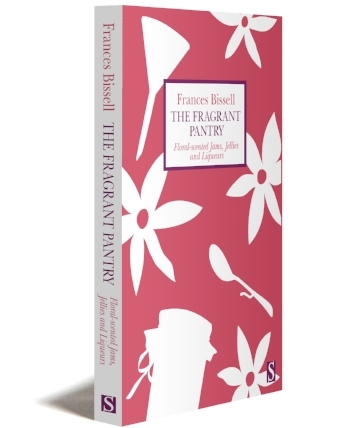 The Fragrant Pantry by Frances Bissell uses flowers as its main ingredient. While flowers are commonly featured as decoration in cookery, Bissell shows how its delicate scent and flavour can take the place of herbs or spices. Although this seems like an unconventional approach, don’t mistake it as a fad or fashion. Instead, Bissell pays homage to English culinary traditions through her use of flowers. Her recipes include jams, spreads and pickled foods with easy-to-follow instructions. You can purchase The Fragrant Pantry here for £11.99. To get a 20% discount use the discount code FRAGRANTP at purchase on the Serif Books website. Interested in more of Bissell’s recipes? Check out the other two volumes in her acclaimed trilogy: The Scented Kitchen and The Floral Baker. Calling all Mediterranean lovers! 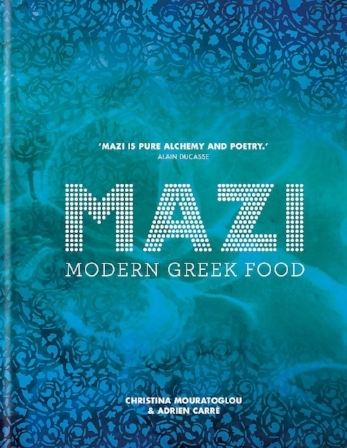 Get prepared to transport yourself to Greece with Mazi Modern Greek Food’s vivid imagery and authentic dishes. Co-authors, Christina Mouratoglou and Adrien Carré’s goal are to revolutionise Greek cuisine by combining genuine flavours with a modern twist. The recipes are ingrained with a trendy tapas vibe and cover cocktails, hot plates, signature dishes and desserts. You can purchase the book here for £17.99. 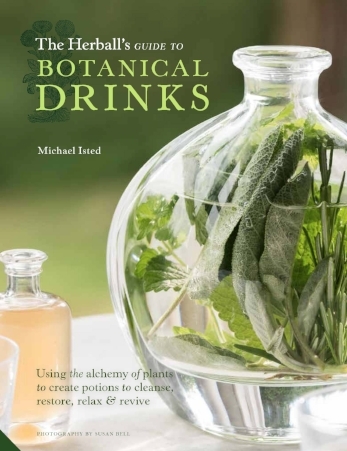 The Herball’s Guide to Botanical Drinks by Michael Isted offers non-alcoholic plant-based drinks. Isted offers careful alchemy with each recipe that acts as cleansers, restorers, energisers, brain boosters and more. The cookbook includes step-by-step directions in processes like hot & cold brewing, fermentation, distillation, juicing and tincturing. The first section provides a brief informational introduction to the plants used throughout the book and the second section includes 58 different recipes serving different functions for the body. Isted uses ancient practices as the foundation of his creations. This guide brings purpose and intention to the kitchen by uniting intuitive and healthy eating. You can purchase The Herball’s Guide to Botanical Drinks here for £12.90. Whenever starting a new diet, snacking is an inevitable part of the process. Gracie and Sophie Tyrrell, founders of Squirrel Sisters, have created a range of all-natural bars that will satisfy your cravings. In their book, Naturally Snacks & Treats: Over 100 Healthy Recipes, the sister duo has formed over 70 recipes using ingredients found at your local supermarket. The on-the-go snack is easy, convenient, and accessible. The Tyrrell sisters reassure their readers that eating healthily can be fun! Recipes range from sweet roasted almond and cinnamon butter to sushi rolls.The beautifully illustrated book is separated into four chapters where you will find breakfast recipes, snacks and lunches for on-the-go, sharing plates and, our favourite, sweet treats. Cocktail-lovers will even find low-calorie options. We can’t wait to try more recipes. You can purchase your own book here for £9.99. Let us know what your favourite recipes are! 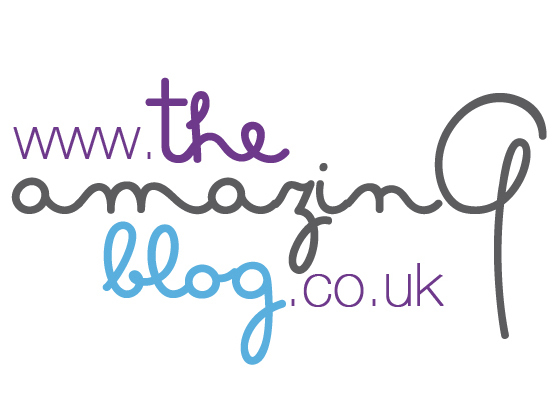 We love to support artisan brands here at The Amazing Blog and Handmade Oxford is just the event to find unique and beautiful pieces from new craftsmen. The renowned contemporary craft design event organiser, Handmade in Britain, has launched a three-day fair at Oxford Town Hall to bring designers and craftspeople directly to the people. We think shopping directly from the wonderful designers who create our favourite pieces of jewellery or centrepieces for our kitchen makes for an incredibly special experience. Piyush Suri started Handmade in Britain over a decade ago with a mission to support design-makers and create a community where they can promote their work. We love supporting local and small businesses around here and this event has it all in one place. This three-day showcase boasts over 90 design-makers, so you will be sure to find something to suit your individual style. Located in the heart of Oxford, visitors can enjoy browsing the stands of high-skilled and innovative designers who have perfected their various disciplines. Getting to hear the creator’s story behind their inspiration, process and creation of a certain piece of jewellery or ceramic set is a unique experience and definitely a nice change from shopping on the high street. At Handmade Oxford you'll find everything from beautifully handcrafted jewellery (perfect for the upcoming wedding season) to ceramics, glass and silverware, furniture, woodwork and mixed media. Most of the designers do not sell their work on the high street, only in exhibitions and galleries like this one, so if you’re on the hunt for something special that will add a touch of style to yourself or your space, don’t miss out on this one. We love a unique piece of jewellery, so we are thrilled to view the work from designers like Lucy Martin, who specialises in beautiful and colourful contemporary pieces that are sure to become your new favourite accessory. Isabelle Capitain combines traditional methods with new technology to create one-of-a-kind minimal pieces that are to die for. For the home, we look forward to seeing the incredible woodwork from craftsman just like Craig Narramore, a Hollywood prop maker. There is so much more to discover that we are overly-thrilled to see all of the designer’s work. Handmade Oxford takes place from Friday, May 18th to Sunday, May 20th, so be sure to get your tickets now to ensure you don’t miss a thing. One day entry starts at £5.50 and three-day entry from £13.20 here or here. Here at The Amazing Blog we understand how difficult it can be to maintain the motivation needed to lead a healthy lifestyle. That is why we thought we'd let you know about the Balance Festival: The perfect place to find like-minded individuals who are joining together to embrace a healthier lifestyle. Balance Festival is the largest fitness and wellness-focused event in the UK. It brings together the best foods, classes, and the most knowledgeable nutritionists, trainers, yogis and chefs; all of whom will share their expertise to help you kick-start your journey to a better self. There is never a dull moment with over 150 food, fitness, wellness, and travel brands to explore. Workshops will include talks and cooking demos, plus there is the option to attend over 200 fitness classes from £6 per session, perfect to sweat out some of those toxins. You can try out numerous cutting-edge workouts on the main stage and then relax in The Sanctuary to recharge or practice mindfulness. It is impossible to leave the festival without feeling inspired and ready to take on a new healthy lifestyle. 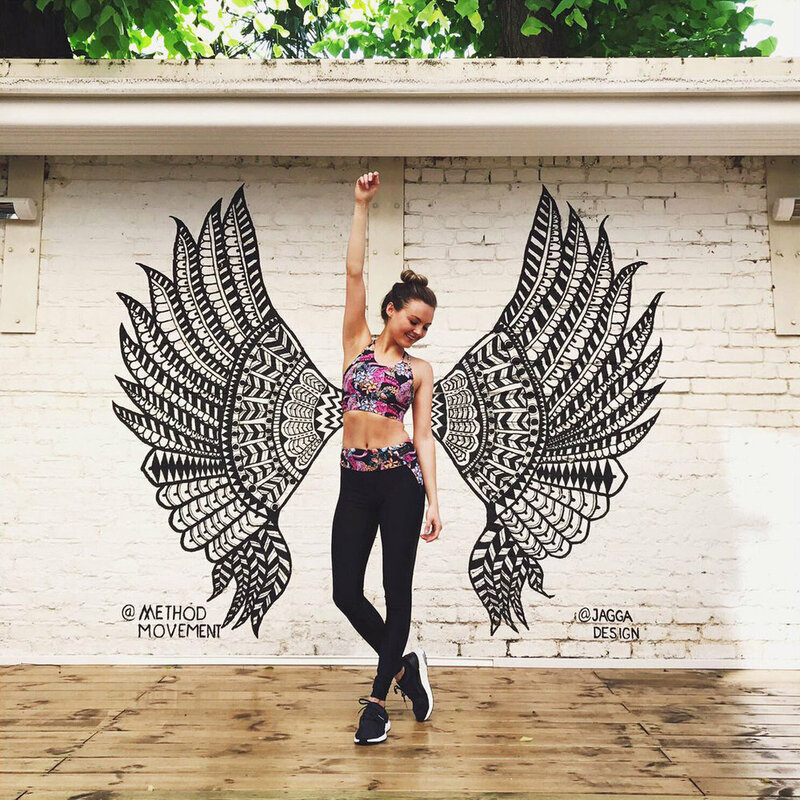 The buzzing atmosphere will keep you coming back year after year to discover new brands, workouts and recipes; ensuring that your health regime is never dull. The Balance Festival takes place 11th-13th May 2018 at The Old Truman Brewery. Super Early Bird Tickets are available here starting at £24.50 for a standard pass, £45 for VIP, and £75 for a weekend VIP. See you there! This Saturday, the Embassy Gardens Market will be opening at Embassy Gardens’ New Union Square in Nine Elms Lane London SW8 5DA. The market is brought to us thanks to Shepherds Markets and EcoWorld Ballymore, two companies looking to bring a colourful, vibrant market to Embassy Gardens. Here at The Amazing Blog, we discovered the first Embassy Garden Market last November which was a huge fun, and we can’t wait to attend again this spring. This springtime market will include a selection of local food and drink products from some of London’s finest (and tastiest) vendors. The first Embassy Gardens Market of 2018 will take place on Saturday April 28th from 10:00am to 5:00pm. If you cannot make it to opening day, do not stress; the market will be open again on Saturday May 26th and Saturday June 30th from 10:00am to 5:00pm. The closest tube and overland stops to the market are the Vauxhall or the Battersea Park. The vendors in attendance at the market will include; La Ferme, L’Amuse Bouche, Finest Fayre, Cookies n Cream, Goko, Rao Deli, Pequod Fish Burgers, Pippin Doughnuts and Chelsea Flower Gin and Tonics/Prosecco. These stalls offer a wide selection of cultural cuisines to choose from and we are sure that you will be able to satisfy whatever taste you are craving. In particular, we are especially eager to try out Goko’s Chinese Dumplings and La Ferme’s crepes. In addition to all of the wonderful food options provided at the market, there will be live musical performances. Guests can look forward to seeing Swedish singer songwriter Axel Janson and beatboxer/singer Dana McKeon perform live at the market. We can’t wait to watch and listen to the live music while snacking on some tasty market finds. We think that this market is the perfect way to spend a Saturday afternoon with friends or family. After all, nothing brings people together like sharing food. We love to explore all of the wonderful food markets that London has to offer. And at The Amazing Blog, are excited to share with you London’s first ever seven-course street food tasting menu featuring a variety of different Mozambican food options. Starting this April, every Saturday 9am to 4pm and Sunday 11am to 4pm at the Maltby Street food market in Bermondsey, London you too can try out the Mozambican menu for yourself. This extensive seven-course menu is brought to us by Chef Grant Hawthorne, the owner of African Volcano. African Volcano offers a variety of hot Mozambique-style marinades and peri peri sauces. These products are based on an original Mozambique recipe and have been developed by Chef Grant Hawthorne since the mid-1990’s. Hawthorne even travelled to Mozambique last year to perfect his menu for this market. The menu includes homemade Portuguese bread (one of our personal favourites), crab and prawn rissois, chicken livers, trinxado prawns, baby chicken and the delicious Pastéis de Nata (Portuguese custard tarte). These unique food options allow for you to see just what is possible when it comes to peri peri sauce. Often times when people think of peri peri sauces they only think of using them on chicken dishes. However, these spicy sauces can be used in a variety of different dishes, as seen in this menu. Mozambican food is definitely an unusual cultural cuisine here in London. However, after this market that may quickly change, as these dishes are sure to satisfy all of your spicy cravings. Our mouths are watering at the very thought of tasting these peri peri dishes! While you’re at the market, we also recommend pairing the delicious Mozambican dishes with beer and wine provided by other traders in the market for the full Maltby market experience. Don't miss it!